​Forminhas (canapés) are bite-sized hors d'oeuvres, a common starter served at parties, weddings and other occasions. 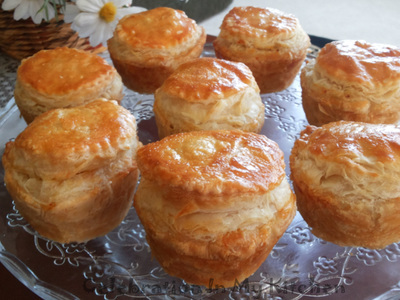 It consists of a base topped with a sweet or savoury filling and finished with a garnish. Originally, a small piece of toasted bread was used as a base, which has now been replaced with modern canapés like a pastry, cracker, vegetable or a small pancake. Dainty, decorative and elegant, canapés are always a hit for any event. 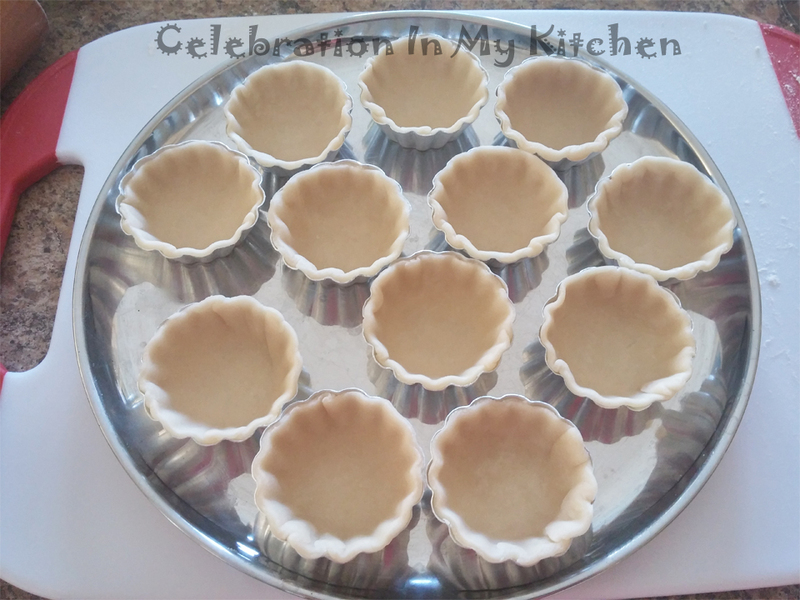 These canapés are made of shortcrust pastry, crumbly and resembling a tartlet. 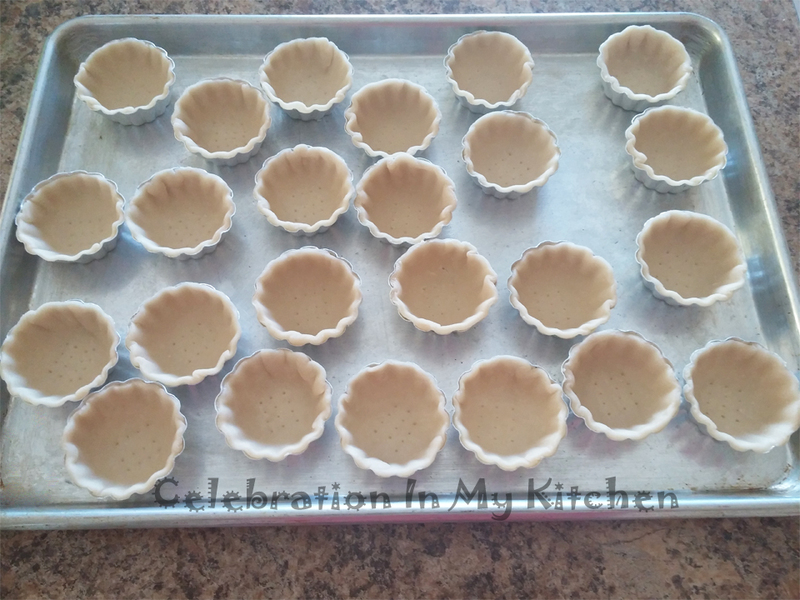 They can be prepared ahead with the filling put together just before serving. Unlike the canapés you get in the market which are deep fried, these are baked, firm and hold their shape when you take a bite. Tender and tasty, they don't even get soggy or soft when filled. The common fillings are Russian salad made of boiled vegetables like carrots, potatoes, peas with either apples or pineapples for a sweet bite, dressed with mayonnaise or canned fish mixed with an onion along with mayonnaise. Nowadays, creative and various fillings atop the canapés, which are elegant, appealing to the eyes and palate, finished with a touch of garnish that elevates the appearance. Canapé is the French word for couch, which draws on the analogy that the garnish sits atop the bread as people do a couch – (source: Wikipedia). 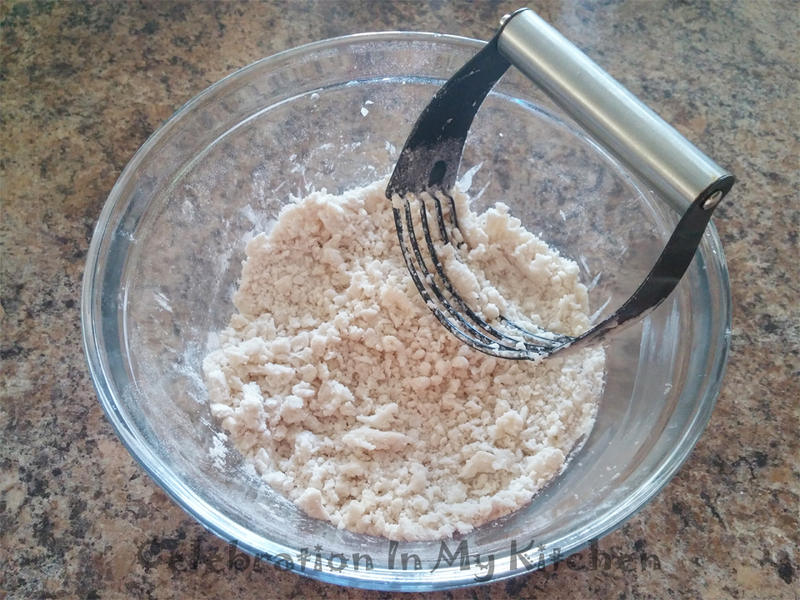 Gradually, stir in the water and with a fork, moisten the dough. Then use your fingers to gently form a ball. 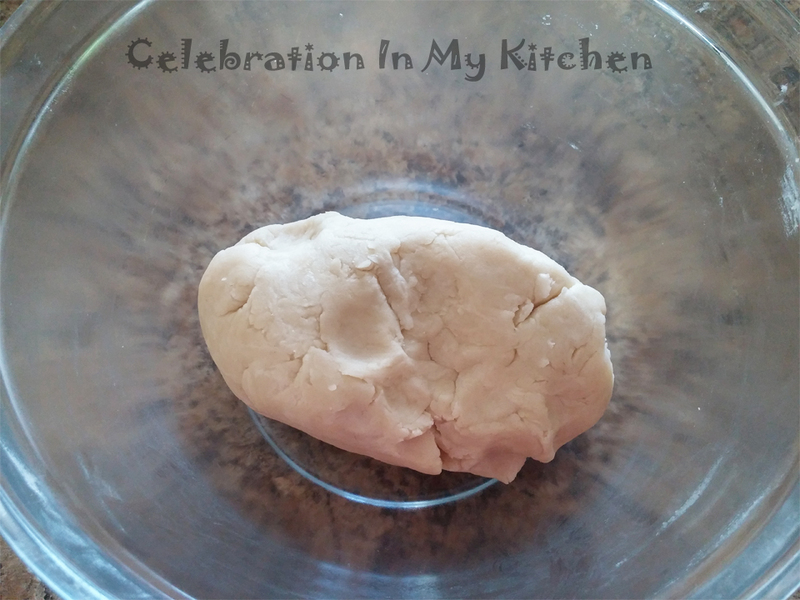 Cover dough with a plastic wrap and refrigerate for 30 minutes until easy to roll. Grease moulds with oil and set aside. 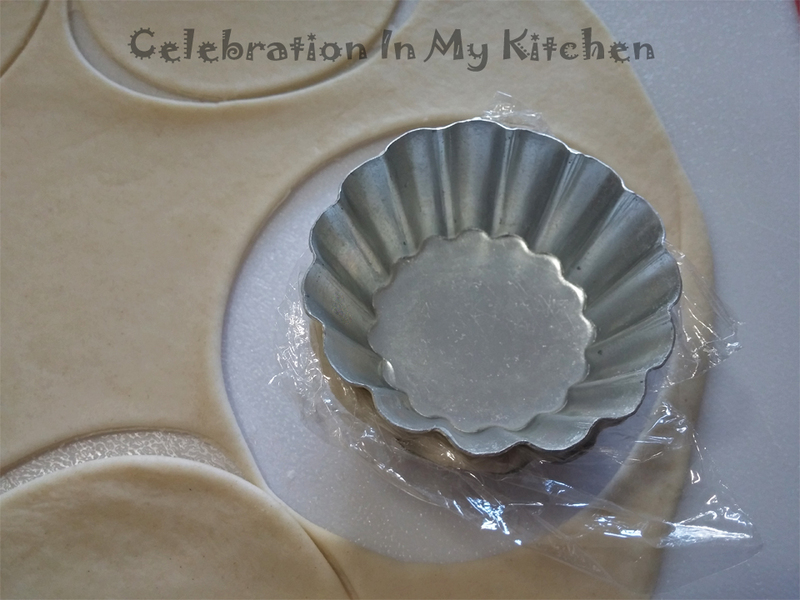 Roll the dough from the centre to the edges to form a circle or rectangle of 1/8” thickness. 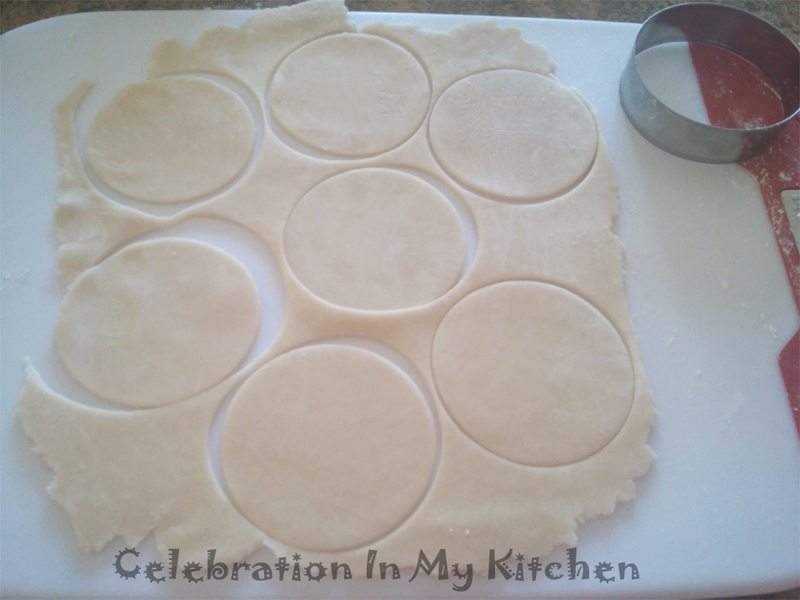 Using a 3" round cutter, cut circles and place them into the moulds. Cover with a small piece of plastic wrap and place another mould on top, press firmly (see last two pictures above). 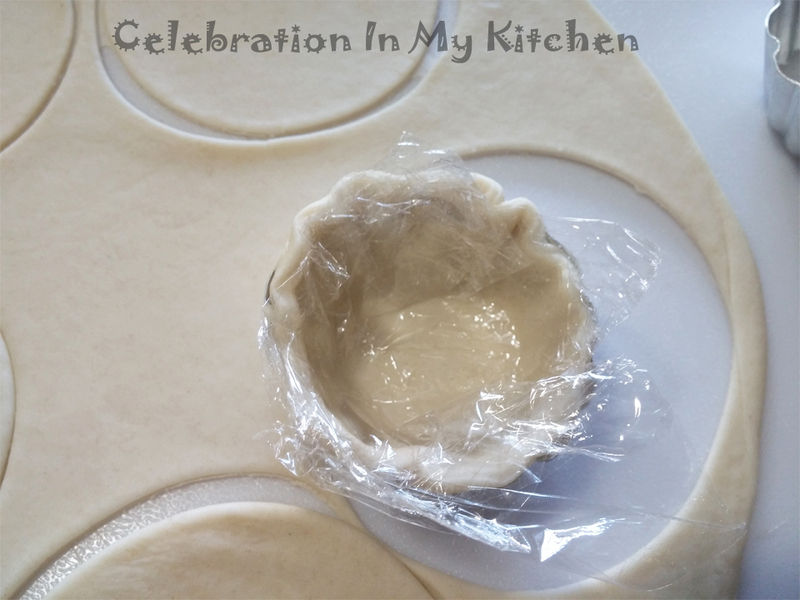 Remove the top mould and trim off any excess dough around the edges. 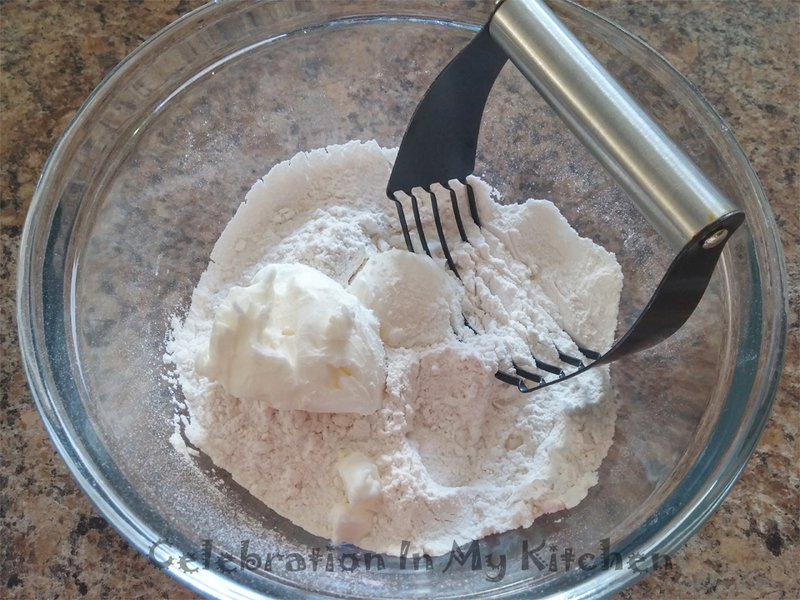 Prick the bottom of the shell with a fork to prevent the crust from bubbling during baking. Reuse scraps until all the dough is used. 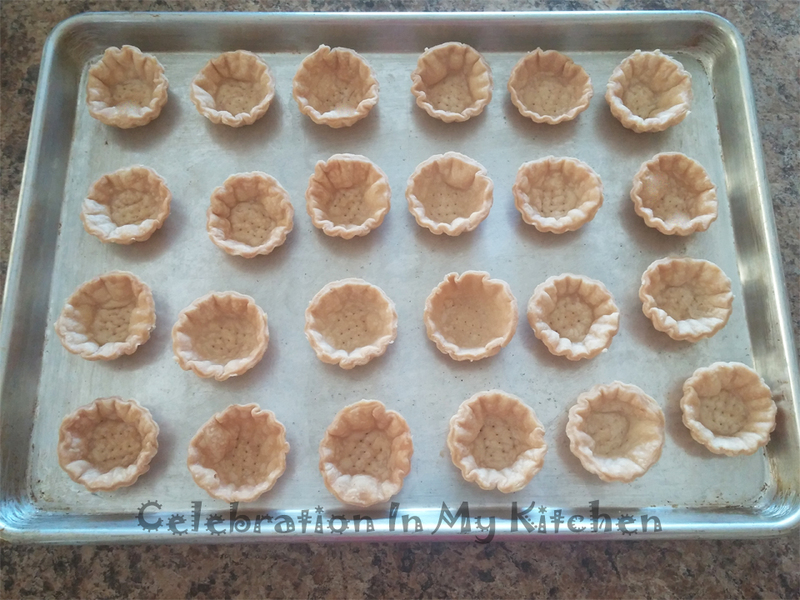 Place moulds in a baking sheet and bake for 20 to 25 minutes until brown. 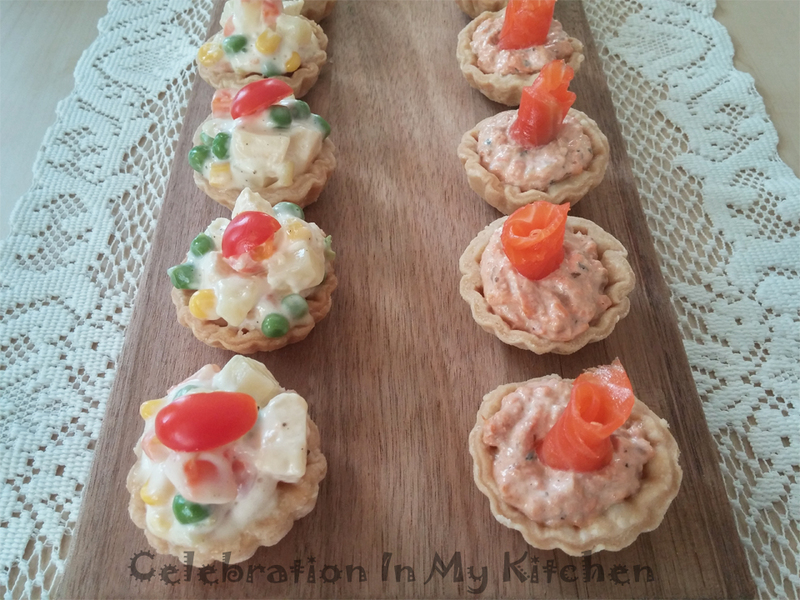 Remove canapés from mould and set aside to cool. They will slide out easily from the mould. The canapés will shrink when baking. 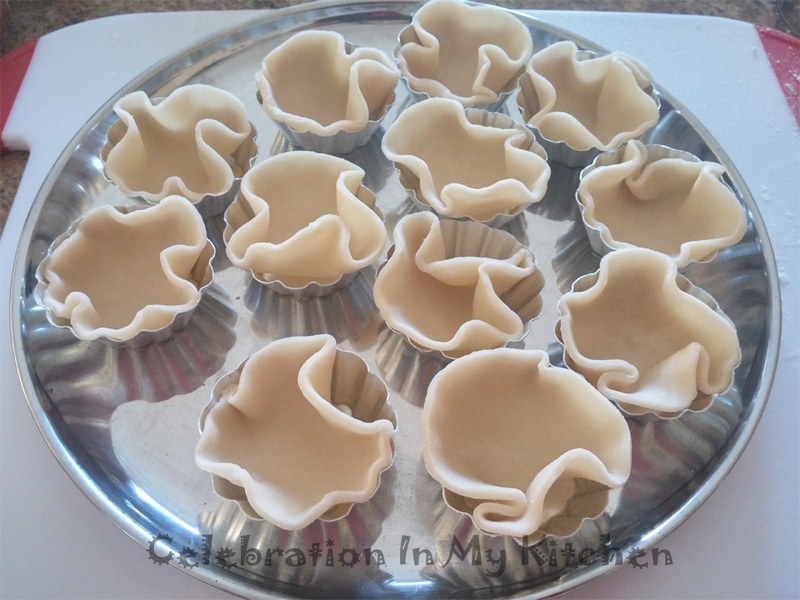 To prevent shrinkage, place an empty mould on top of the shell or line with parchment paper and then fill with dried beans or pie weight. Remove the top mould or beans and parchment paper few minutes before taking out the pastry from the oven so that the crust will brown evenly. Peel carrot and potatoes, wash and cut into small cubes. Boil potato cubes with 2 cups of water and salt. When they are half cooked, add carrot pieces and after a couple of minutes, include the peas and corn kernels. Cook for a minute and then drain out the water. Transfer vegetables to a bowl to cool. Peel the apple and cut into cubes. Mix with the vegetables and then stir in the mayonnaise along with pepper. Check for seasoning and add salt, if needed. Apple can be substituted with pineapple. Use amount of mayonnaise, as desired. 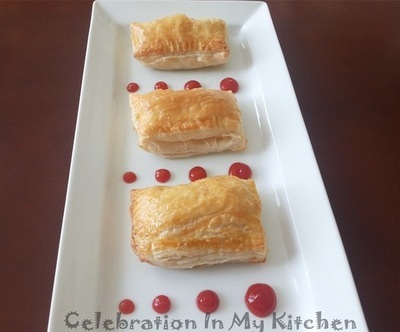 This filling is sufficient for 18 to 20 canapés. Drain out the brine from the can and transfer fish into a bowl. Mash with a fork and mix in the onion, mayonnaise and pepper. Check for seasoning and add salt, if needed. Finely minced celery or tomato can be added. This filling is sufficient for 12 canapés. 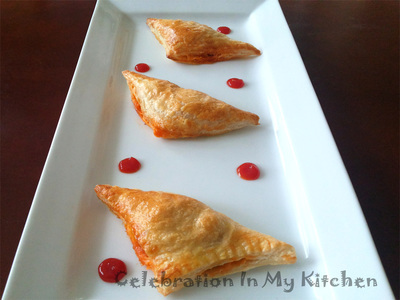 Fill pastry shells with either vegetable or seafood filling. Finish with a touch of garnish and serve. A slice of cherry tomato was used as a garnish for the vegetable filling. Smoked salmon piece adorned the salmon filling. 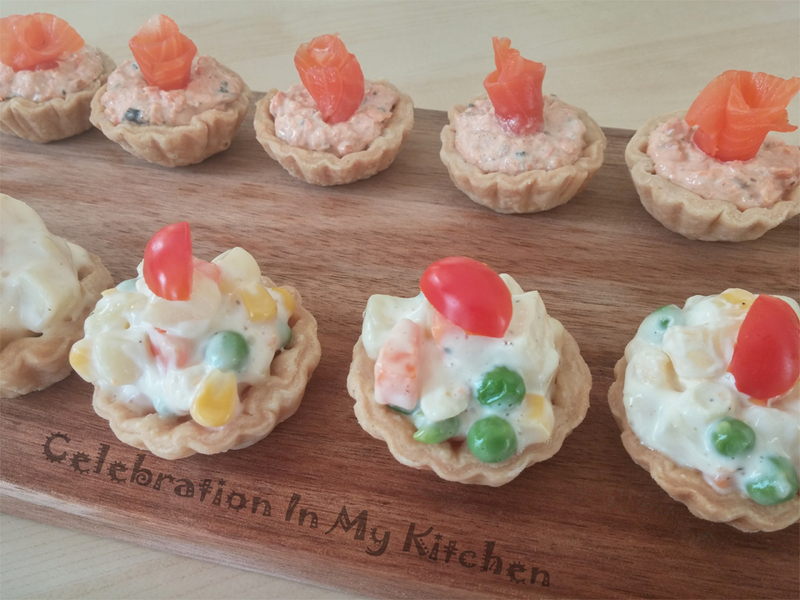 I filled 12 canapés with the vegetable filling and the other 12 with the seafood filling. Extra vegetable filling was consumed as salad. 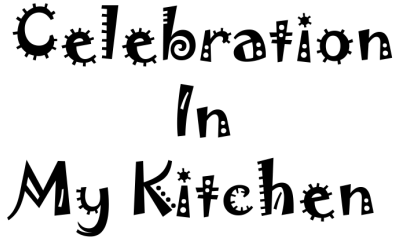 Fillings may include chopped boiled eggs with mayonnaise and celery, chicken, mince or prawns that can be found at the recipes indicated below. Alternatively, let your imagination run wild and use your own.